Can you play an instrument or entertain others in some way? 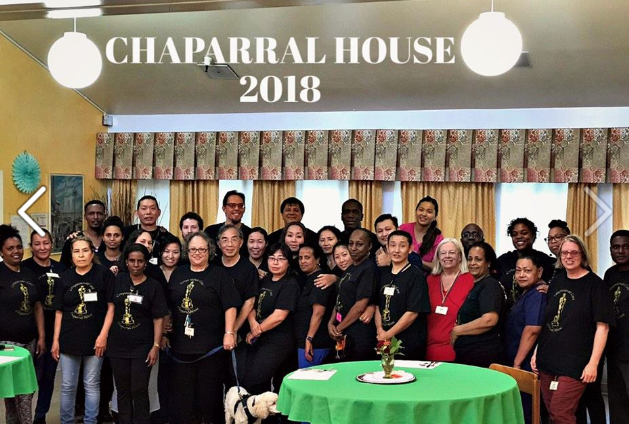 Chaparral House is a small non-profit nursing home in Berkeley that seeks experienced, talented solo performers or small groups to perform and delight our elder residents. Especially need performers for 4:30pm on weekends. Musicians, Singers with Accompaniment, Magicians, Comedians, Puppeteers, Dancers, Actors, Impersonators, & Improv groups etc. WHEN: We'll work with your schedule.